Olive Green Motors located at 37 Liss Road, Portsmouth, is a family owned and run business with many years of experience and a loyal client base throughout the Portsmouth area. 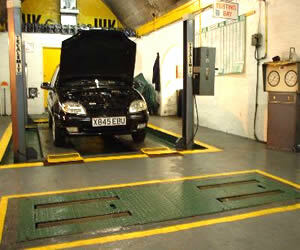 Olive Green Motors Portsmouth has been servicing cars of all makes since the 1950's. However we have a modern MOT Centre in our Portsmouth garage carrying out good value MOT's as well as mechanical vehicle / car repairs all within the Portsmouth area and has done for over 50 years. We also offer for the Portsmouth area, air conditioning service / servicing with an option of including the advanced Aromatek vehicle odor eliminator. More About Olive Green Portsmouth: Olive Green Motors based in Portsmouth, is a family owned and run business with many years of experience and a loyal client base. Olive Green Motors has been offering servicing, MOT’s and mechanical repairs within the Portsmouth area for over 50 years. 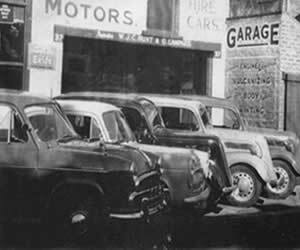 Take a look at the old photo of our garage taken back in the 1950's. Olive Green is also an official supplier of Active8 Engine and gear box oil; which increases performance an economy. Our air conditioning service now offers an option of including the advanced Aromatek vehicle odor eliminator.